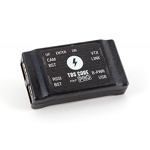 TBS-050 : TBS CORE PNP PRO [TBS-050] Review - USD89.95 : MyRcMart.COM : Finally the OSD that can do it all, simple to install, plug and play. 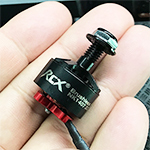 The TBS CORE PNP line has been very popular among the FPV crowd for its ease of use and quick installation, as well as compatibility with a wide variety of video transmitters, FPV cameras and input voltages (2S to 6S). 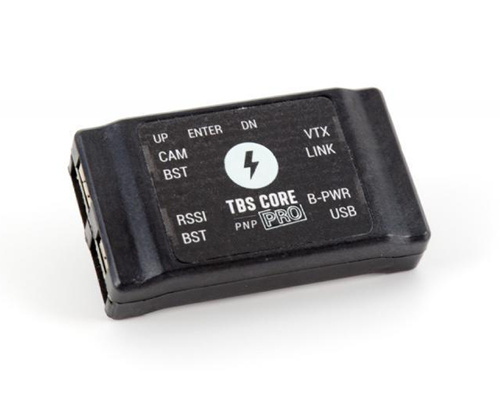 The TBS CORE PRO takes it to the next level, with GPS/compass capability and a digital, high accuracy current sensor, making this the most advanced OSD system available. The built-in OSD provides vital information of the state of the aircraft. No more throttle loss due to over depleted batteries, flying at the edge of control signal, or forgetting to charge spare FPV system batteries. 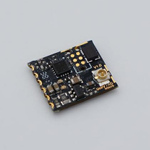 Coupled with the new GPS module, the OSD will help you navigate and estimate distances, speed, and heading. 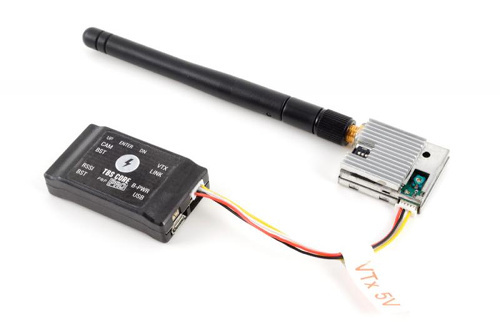 Should your main battery or ESC die, the secondary battery port can power your FPV system AND your model aircraft for a gentle descent with running video system (for airplanes only!) 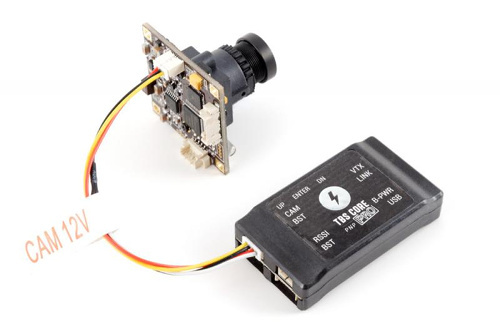 In a nutshell, the TBS CORE PNP PRO is a light-weight OSD and filtered power supply, feeding the pilot camera and video transmitter, all in one compact package. 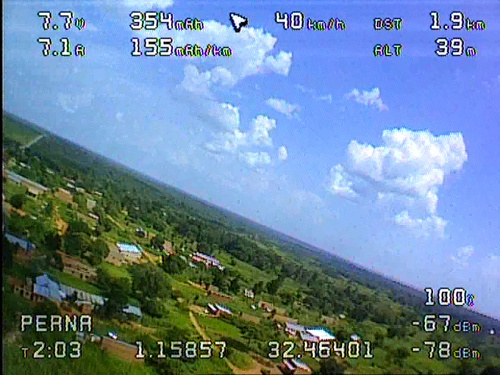 It makes FPV setups super-easy and is a safety feature every FPV aircraft should have. 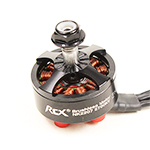 Suitable for any airplane and multirotor of any size. 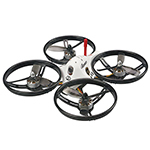 The simplified wiring reduces points of failure and lets you focus on flying instead of tinkering. All cables are shielded, further reducing the complexity of wiring and ensuring a noise-free video feed. Features Dual 2S to 6S input voltage - additional input for backup (2S only) Constant 5V @ max. 2A and 12V @ max. 600mA - individually, not combined! 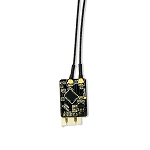 OSD with GPS, battery voltage, current consumption, signal strength, callsign and timer display Telemetry audio downlink or video input and mono audio pass-through (available via later software-update) Very high switching efficiency Extremely low ripple and low RF noise, two stage filtered and shielded casing Supports 1W VTX with only minor airflow All necessary cables included Software upgradable and configurable (Windows required) Small size, 27mm x 47mm x12mm, only 15.6 grams Note: the current sensor accepts XT60 battery plugs. 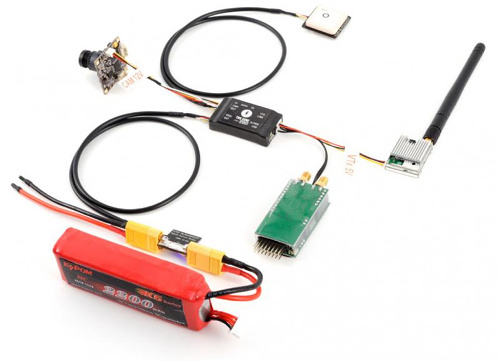 Includes TBS CORE PNP PRO unit TBS CORE Digital Current Sensor (100A) with XT60 plugs 1x 5V VTx Pigtail cable for TBS VTx 1x 12V Camera Pigtail cable for TBS69 / TBS59 1x 12V Camera Pigtail cable for TBS ChipChip 1x 50cm BlackSheep Telemetry (BST) cable 1x 40cm BlackSheep Telemetry (BST) cable 1x 30cm BlackSheep Telemetry (BST) cable 1x 20cm BlackSheep Telemetry (BST) cable 1x 10cm BlackSheep Telemetry (BST) cable Optional accessory: GPS/Compass TBS CORE PRO Unit TBS BlackBox Note:For use with the TBS Discovery PRO please select the Discovery PRO to Core Pro cable in the customization option. Note:For use with the TBS Discovery PRO please select the Discovery PRO to Core Pro cable in the customization option.